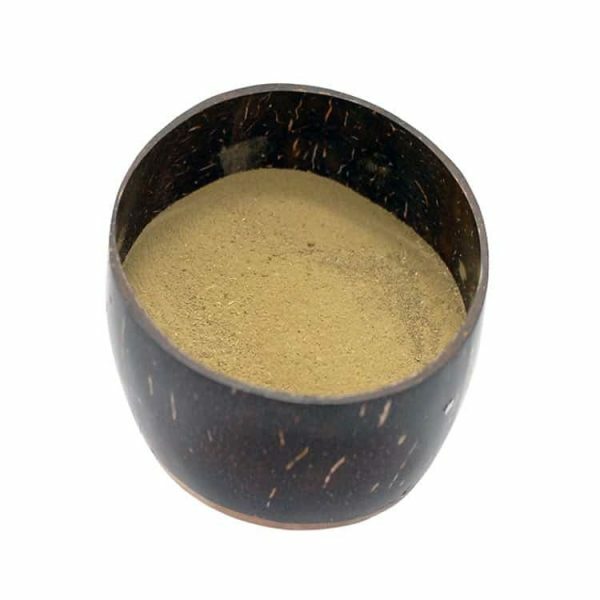 Our neem powder is made from premium quality Azhadiracta indica leaves, and is suitable for a 10 day (100gm), 20 day (200gm) or 30 day (300gm) programme, for healthy gut and improved digestion. Please note contra-indications: Neem powder should be avoided if pregnant or trying to conceive. Because of it’s hypoglycaemic effect, diabetics must monitor blood sugar levels carefully when supplementing with neem leaf, which may cause significant de-creases in blood sugar levels resulting in hypoglycaemia.